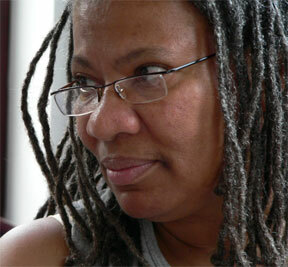 The Witch -- Toni performs this poem with percussionist Barbara McPherson. down "Happy trails to youuuu, 'Til we meet aaaah-gain." while 15 poems had their way with me? make love to the soft holes in her body. curl into the room's dark corners. Sulfur mixes with the smell of garbage. Her shoes appear to be full of rice. sunshine through clear window panes. the buzzing, the wings of angels.